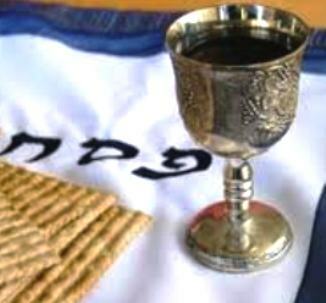 It is a mystery to this writer that a cup is prepared for Elijah at the Seder table. Elijah was not in Egypt with Moses. He was not born until many years later. Joshua and the judges had long been gone. Saul, David, Solomon and many of the kings had all passed away. So how did Elijah get associated with the Passover? Is it because he is to introduce the messiah? Malachi 3:1, "Behold I will send my messenger, and he shall prepare the way before me: and the Lord, whom ye seek, shall suddenly come to his temple, even the messenger of the covenant, whom ye delight in: behold, he shall come, saith the Lord of hosts." Malachi 4:5-6, "Behold, I will send you Elijah the prophet before the coming of the great and dreadful day of the Lord: And he shall turn the heart of the fathers to the children, and the heart of the children to their fathers, lest I come and smite the earth with a curse." Isaiah 40:3 says, "The voice of him that crieth in the wilderness, Prepare ye the way of the Lord, make straight in the desert a highway for our God." There have been many great men who accomplished wonderful and good deeds over the past hundreds and thousands of years. Many Jewish people believed that one of these might have been the messiah only to have their hopes dashed when each died without fulfilling the expectations that they were the messiah. The Rabbi Menachem Schneerson has accomplished many wonderful deeds in our lifetime, which we all have observed. Could he be the messiah? Many believe he is. The questions I ask are: did Elijah introduce him and did he suddenly come to his temple? 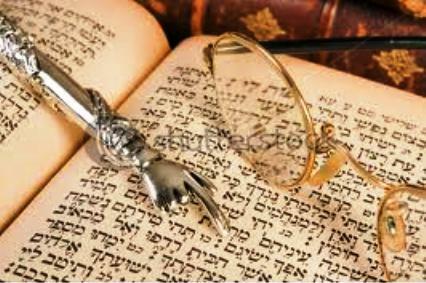 Could he produce proof that he was from the tribe of Judah after all of the genealogical records were destroyed in 70 CE along with the temple? The laws of the world courts state that if eye witnesses agree to an event that took place in the generation in which the event occurred, and the testimony to which they gave eyewitness account to cannot be disproved in their generation, future generations cannot disprove them or have the ruling overturned. But did Elijah precede Him as a messenger and introduce Him as the messiah? There was a priest named Zacharias, of the course of Abia: and his wife was of the daughters of Aaron, and her name was Elisabeth. These two, like Abraham and Sarah, were barren and were well stricken in years. While he executed the priest's office before God in the order of his course, according to the custom of the priest's office, his lot was to "burn incense when he went into the temple of the Lord. And the whole multitude of the people were praying without at the time of incense. And there appeared unto him an angel of the Lord standing on the right side of the altar of incense. And when Zacharias saw him, he was troubled, and fear fell upon him. But the angel said unto him, Fear not, Zacharias: for thy prayer is heard; and thy wife Elisabeth shall bear thee a son, and thou shalt call his name John. And thou shalt have joy and gladness; and many shall rejoice at his birth, For he shall be great in the sight of the Lord, and shall drink neither wine nor strong drink; and he shall be filled with the Holy Ghost, even from his mother's womb. And many of the children of Israel shall he turn to the Lord their God. And he shall go before him in the spirit and power of Elias, to turn the hearts of the fathers to the children, and the disobedient tot the wisdom of the just; to make ready a people prepared for the Lord." Any serious student of history would have to consider John the Baptist. His birth was announced before his mother had conceived him. Isaac also was announced before Sarah had conceived him and his name was given prior to his conception. John was the voice crying in the wilderness saying, "Prepare ye the way of the Lord. Make his paths straight," fulfilling the words of Isaiah and Malachi which spoke of him afore time. When John saw Jesus coming to the river Jordan to be baptized, he said, "Behold the Lamb of God, which taketh away the sin of the world." But were there any genealogical records that could affirm that Jesus was of the tribe of Judah and rightful heir to the throne of David? There are two books which were written prior to the destruction of the temple whose authors had access to the temple records. They are preserved for us in the book of Matthew and the book of Luke. NO other person in Jewish history has these credentials, nor will there ever be. The Lamb which was the sacrifice will return as the Lion of the tribe of Judah. 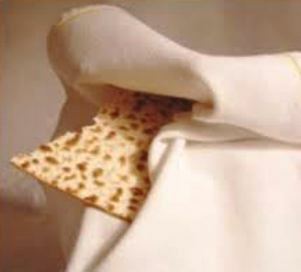 Jesus is the middle matzo who was broken and buried, laid in the tomb for three days. Those who found Him alive were rewarded. Those who refuse to look for Him will never experience the joy that John?s message brought to the people. 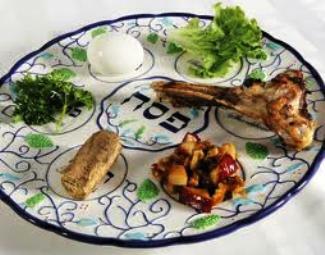 Elijah has a special place at the Seder because he declared that Jesus is the Passover Lamb. Jesus' blood keeps the death angel from claiming our soul. He is the spotless Lamb who is to be remembered through all generations (Exodus 12:14). Jesus said, "I am the resurrection, and the life: He that liveth and believeth in me, though he were dead, yet shall he live: and whosoever liveth and believeth in me shall never die." (John 11:25, 26). Don't be like Pharaoh. Believe that the blood of the Passover will save you from death and give you life. He will, if you ask. "For whosoever shall call on the name of the Lord shall be saved" (Romans 10:13).